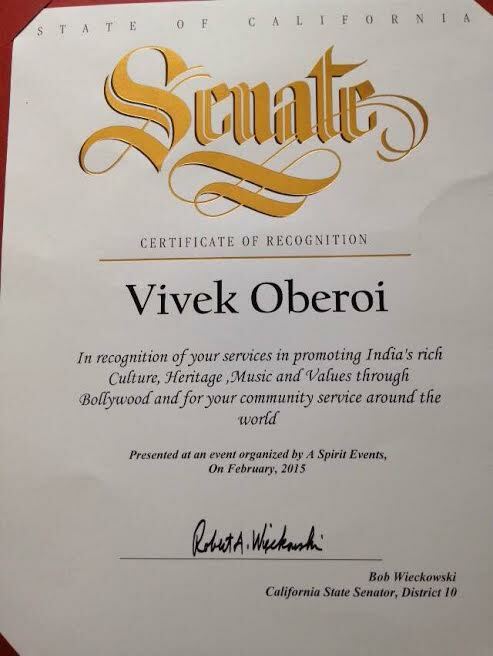 Vivek Oberoi, who was recently bestowed an award by the Dada Saheb Phalke Film Foundation, was in for a pleasant surprise to receive a letter by the California State Senator, District 10, Bob Wieckowski. The Senator had invited the star to California to present him with a Senate award, in recognition of his community service around the world, however, Vivek had to give it a skip on the arrival of his new born. Vivek received the invite while he was in Bangalore for the delivery of his baby girl and reached out to Bob and thanked him for the honor. Though he had to politely decline not traveling to California to receive it, the actor has promised to meet the Senator and personally thank him on his next trip to the US. 16 queries in 0.511 seconds.